before joining American Ballet Theatre in 1970. At American Ballet Theatre, van Hamel was promoted to the rank of Soloist in 1971, and in 1973, became a Principal Dancer after a highly-acclaimed New York debut as Odette-Odile in Swan Lake. Ashton, George Balanchine, Kenneth MacMillan, Anthony Tudor, John Cranko, Agnes De Mille and had ballets created on her by Twyla Tharp, Glen Tetley, David Gordon, David Parsons, Lynn Taylor Corbett and other notable choreographers. Van Hamel has also danced at In the American Grain, a June 1989 gala for ABT and the Martha Graham Company, in the role of the Pioneering Woman in Graham’s Appalachian Spring. She choreographed her first ballet for ABT, Amnon V’Tamar, which had its World Premiere in Miami in January 1984. In June 1990, van Hamel celebrated 20 years with ABT, dancing the leading role in Swan Lake. 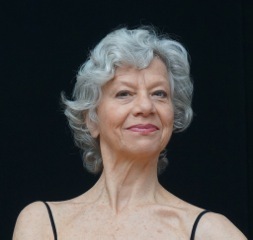 From 1992 until 1998, she danced with Jiří Kylián’s Netherlands Dans Theater III. During that time she danced ballets by choreographers Jiří Kylián, Maguy Marin, William Forsythe, Hans van Maanen, Martha Clarke and Mats Ekk. She also continued to choreograph works for The Washington Ballet, Milwaukee Ballet and The Royal Winnipeg Ballet. Dance Center dedicated to the growth, advancement and preservation of professional dance. She also directs “Extreme Ballet” for ballet students in the summer, and is the current artistic director of her own company, the New Amsterdam Ballet. As artistic director, van Hamel engages artists in an imaginative and challenging repertoire, with works by both world-renowned and new choreographers. and the ABT JKO School since its inception.